Pepperdine came from behind twice today to take both ends of their double-header against the Pilots. They won a one-run game today, 4-3 in 10. A_Fan wrote: I see the Beavers are going to be in town on Monday attempting to make up the game that was rained out a few weeks ago. No hitter against U of O: Ouch! My only wish is that the Oregonian stopped treating us like we are D-II. Chris Sperry gets his 300th win in his 15th season; Pilots beat LMU 6-3. Congratulations to a terrific guy and a very fine mentor and coach! I believe that there is a set of bleachers in right field now for people to sit in and watch the game. I bet they serve beer there too. Anyone know anything for sure? RipCityPilot wrote: I believe that there is a set of bleachers in right field now for people to sit in and watch the game. I bet they serve beer there too. Anyone know anything for sure? I believe you were sold a bill of goods. The only beer in the place was what a sneaked in. Travis Radke settled down after shaky start and retired 19 of the last 20 batters as he put the pilots on his shoulders and lead the team to a 5-1 victory over the Gaels. He lowered his season ERA to 1.62 to lead the team. The pilots win the series against St. Mary's today 7-5 after spotting the Gaels a 3-0 lead in the too of the first. A great team win on Senior day and a beautiful day to watch what may have been the last game I old Joe Etzel field. A great finish to the home season. Let's hope the EPA gets its act together in time for work on the new River Stadium to begin. PurpleGeezer wrote: The pilots win the series against St. Mary's today 7-5 after spotting the Gaels a 3-0 lead in the too of the first. A great team win on Senior day and a beautiful day to watch what may have been the last game I old Joe Etzel field. A great finish to the home season. Owen Jones put his name in the record book by breaking the Pilot record for saves in a season. I made an interesting observation today. You want to see speed, wait for the Dollar Dogs announcement, then observe how quickly Geezer closes down the space between himself and the concession stand. I somewhat regret bowling over that three year old and knocking her down the steps, but that little kid was moving WAY too slow. And if you want to see world class speed, watch what happens when my local pub puts PTE on tap. PurplePrideTrumpet wrote: I made an interesting observation today. You want to see speed, wait for the Dollar Dogs announcement, then observe how quickly Geezer closes down the space between himself and the concession stand. Geez, if this is true (and I believe you confirmed it was), you need to update your location!! As you are our chosen leader, we have a need to know your whereabouts so that we have some idea where we can find PTE on tap! Pilots beat Seattle U 11-1; pitcher Kyle Kraus notches career win #27. Congratulations to the 27-25 Pilots on another winning season, and for achieving the seventh most wins in the team’s history (the most wins came in 1980 when the team was 36-12). When the final season stats are made available I’m sure we’ll find that stellar fielding and very good pitching (including saves, and low ERA) paved the way for a winning season. 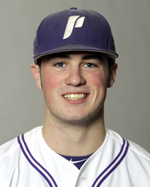 BELLEVUE, Wash. --- Turner Gill had four hits, Caleb Whalen and Zack McCoy each knocked in three runs and Kyle Kraus picked up career win number 27 as the Portland Pilots ended the season by defeating the Seattle Redhawks 11-1 in a non-conference baseball game on Sunday afternoon at Courter Field. The Pilots took two of three from the Redhawks to conclude the 2012 season with a 27-25 overall record. Sunday was all Pilots from the beginning as UP scored the game’s first eight runs. In the top of the first inning, Whalen brought home Portland’s first run with an RBI single to left field. Whalen followed with a two-run single in the top of the second to fuel a three-run inning for the Pilots. Portland then added another run in the fifth and three more in the top of the sixth inning to claim an 8-0 lead. Zack McCoy notched an RBI double in the fifth before driving in two runs with single an inning later. The run support was more than enough for Kraus (7-6), a senior right-hander who ends his career as UP’s all-time leader in career wins. Kraus yielded just one earned run on six hits in 6.1 innings. He struck out three. Senior reliever Keeler Brynteson entered the game in the sixth to make his 100th career appearance, which is also a program record. The left-hander struck out two in 2.0 innings of work, while J.R. Bunda retired the only two batters he faced, and Owen Jones worked a perfect ninth inning. Jones, also a senior, didn’t earn the save on Sunday, but he already set a new UP season record with 16 saves this spring. Seattle starter Bryan Dalton (1-4) lasted just 1.2 innings, surrendering four runs on four hits and four walks. He was followed on the hill by six SU relievers. Seattle’s lone run came in the bottom of the sixth inning, while the Pilots added three more in the top of the seventh. Gill had an RBI double, senior Kris Kauppila slapped a run-scoring single to right field and McCoy brought home his third RBI on a ground-out. Portland finished with 15 hits, while Brian Frattali scored four runs. The Pilots already wrapped up play in the West Coast Conference, finishing with a 12-12 league record. Seattle ends the year with a 23-30 overall record. Travis Radke is first UP baseball player EVER to be named WCC Freshman of the Year! Portland left-handed pitcher Travis Radke was named the West Coast Conference Freshman of the Year, while senior Kyle Kraus and sophomore Turner Gill landed on the All-WCC First Team, which was decided in a vote of the league’s coaches. Radke, who also earned WCC Honorable Mention, becomes the first Portland player ever to be named the league’s top freshman. Portland senior closer Owen Jones also nabbed All-WCC Honorable Mention accolades. Travis Radke - WCC Freshman of the Year! 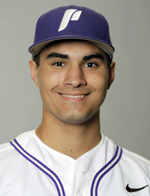 University of Portland Pilots left-handed pitcher Travis Radke, a freshman phenom this year on the mound, was named to the Louisville Slugger Freshman All-American Team, which was released on Wednesday by Collegiate Baseball Newspaper. Radke, who is 6-foot-4 and 200 pounds, becomes the fourth Pilot in the past five years to be named a freshman All-American. Current Portland sophomore Turner Gill earned the distinction last year, recently graduated Kris Kauppila landed freshman All-American honors in 2009 and former UP infielder Riley Henricks garnered All-American status in 2008. Radke, 19, who earned the title of West Coast Conference Freshman of the Year, was among the country's leading pitchers for much of the season, ending the year 12th nationally in hits allowed per nine innings (5.97), 30th in WHIP (1.0) and 39th in ERA (2.03), according to Portland Pilots Athletics. He was 7-4 overall and he ranked second in the WCC in opponents batting average (.197), fourth in ERA and sixth in strikeouts (85). The native of Thousand Oaks, Calif., was named the WCC Pitcher of the Month for March after going 4-1 during the month with an ERA of 0.93. He held opposing hitters to a .124 batting average in March, he fanned 29 and he yielding just 12 hits, three earned runs in 29.0 innings. Nice little update on Colin Feldtman. The article says he's a "senior to be," which would have been true had he not red-shirted.......he'll be a junior. And in addition to being a pitcher, he plays the outfield and is a designated hitter for the Pilots. Other than that, I guess the article is accurate. Colin Feldtman has spent most of this season serving as closer for the Kitsap BlueJackets. But Tuesday night at Gene Lobe Field, the Bainbridge High graduate started for Kitsap — and finished what he started. Feldtman pitched a complete game, scattering 11 hits as Kitsap knocked off West Division-leading Corvallis 6-1. Feldtman, a senior to be at the University of Portland, threw 121 pitches and walked just one batter in just his third start of the season. He is now 4-4 with four saves and a 2.27 ERA. "He was outstanding," Kitsap coach Ryan Parker said. "He did a good job controlling the game. He scattered 11 hits, but was able to limit them to one or two an inning. He never let them get anything big." It was Feldtman's first action since the West Coast League All-Star game over a week ago. As Kitsap's lone representative, he saved the game for the West in a 3-2 victory. "I haven't pitched in a while," Feldtman said. "But I had the rest of my team to help me out. They played great defense for me." "We thought about using him to close a couple of games in the Bend series, but we saw how thin our pitching staff was," Parker said. "We started him, and it worked out well for us." Asked if he had a preference, Feldtman said, "I prefer closing, because then I play everyday. But I like starting too."